The U.S. Geological Survey says a magnitude-5.5 earthquake has hit the southern flank of Hawaiʻi's Kīlauea volcano. The agency reports light to moderate shaking was felt across the Big Island and Maui early Wednesday morning. There were no immediate reports of damage or injuries. Kīlauea is one of the world's most active volcanos. It has been quiet for months after an eruption that began last May destroyed more than 700 homes. The geological survey's Hawaiian Volcano Observatory says the quake had "no apparent effect" on Kīlauea volcanic activity. The earthquake was centered about 7.5 miles (12 kilometers) southeast of Kīlauea's summit and was about 4 miles (7 kilometers) deep. 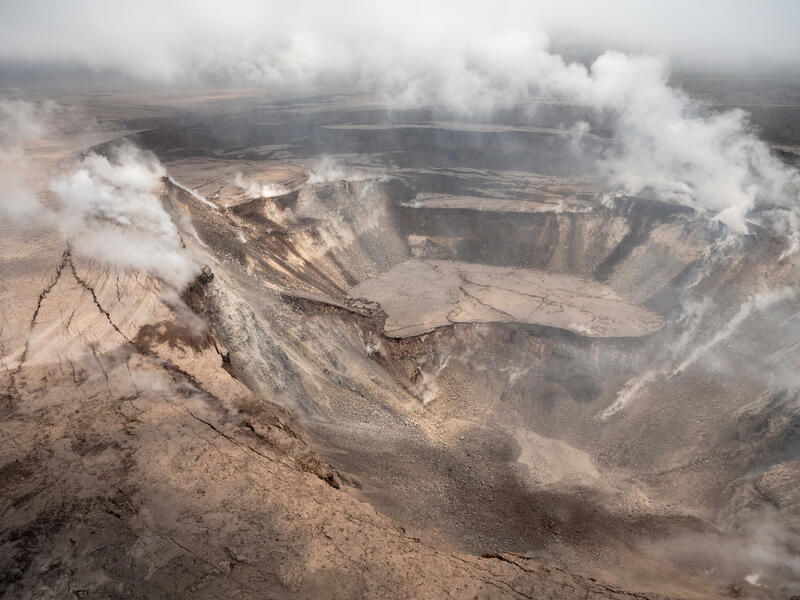 The geological survey says Kīlauea's south flank has had 16 earthquakes of at least magnitude-5.0 over the past 40 years.